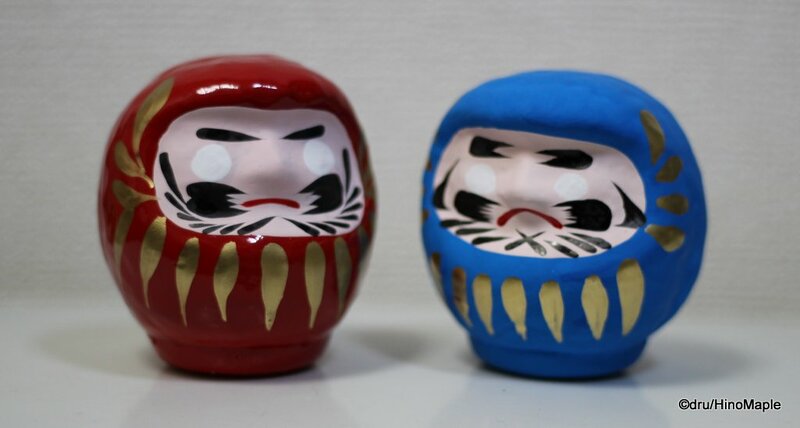 Last year I wrote about Daruma dolls and what they mean. I wrote about how they are made and where they are made. This year I tried to get a couple Daruma but failed when I visited Kameido Tenjin. They did have Daruma but not the ones I wanted. I wanted a specific size and they only had big and small ones. I ended up doing a little research and found out that a major temple in Nishiarai was famous for Daruma. 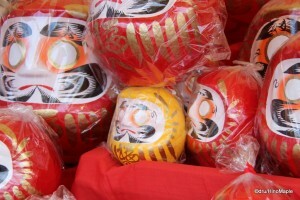 They have a special event to burn Daruma and they sell them specifically at the temple. I had a free day so I decided to head up north to Adachi-ku to see this temple and get some Daruma. I won’t talk too much about the temple as this is about my plans for 2014. Needless to say, I was able to get a couple Daruma and they were cheaper than I had expected. The Daruma at Nishiarai were definitely cheaper than the ones sold at Kameido Tenjin so I was happy to make the trip up to Nishiarai. This year, I have a lot on my plate and my resolutions reflect that. I have a lot to do and no time to relax. Blogging is taking up a LOT of my time and I think I have scripturient (possessing a violent desire to write). Some of you may already know that I have been writing my second book. This will be a book about sake and the sake breweries in 4, maybe 5, towns. I won’t say too much but I already started it and I hope to have a lot more complete by the end of spring. I then had an idea for a third book. Actually, this will only be half a book as I need help to write the other half, and maybe some help with maps. If anyone wants to work for free, I’m more than happy to hire map makers! Models also welcome. Let’s just say it involves a shrine pilgrimage and it will be informative. I once again bought 2 Daruma. I bought a traditional red one and a blue one for work. The blue one is watching me and making sure I write both of these books. The red one is more for luck and to make sure I keep cool. Either way, I made my resolutions for 2014, even if I didn’t really have any plans to make any. I just try to keep my goals and keep working hard to enjoy writing. This entry was posted in Dru's Life and tagged 2014, Daruma, New Year, Resolutions by Dru. Bookmark the permalink. I want to whimper when I think about my 2014 schedule, but ah well, life’s short, let’s cram as much into it as we can. Yup, a shrine pilgrimage. I bet you know a lot about that. The only problem with a short life is that we need to sleep a lot. I can’t be bothered with sleep but I can’t help it. I guess I’ll have to balance things out a bit better.